Test management is one of the most critical elements of the overall testing process and the development of the highest quality software and hardware products isn’t possible without efficient test management techniques. 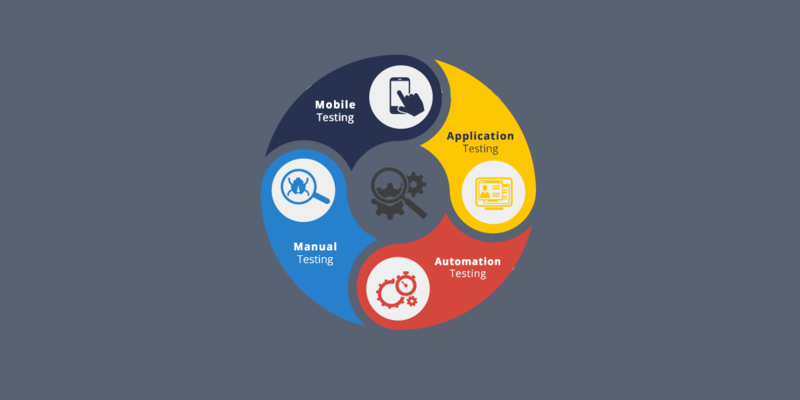 Today, the software products and applications which are being developed are quite complex in nature, and that’s why smart test management techniques are required to carry out the testing in the best possible manner. A test management process can be regarded as “effective” only if it leads to a common goal – developing, ensuring and shipping, superior quality products which can ideally meet the customer needs and deliver high performance. In order to achieve the aforementioned objective, it’s important that the development team works within a proven process framework. It has become more important than ever to work swiftly and reduce your time to market by as much amount as possible to gain an edge over your competitors. In such scenario, effective test management is of utmost significance. With the right test management, you can ensure that the developed products/software deliver desired performance, satisfy your customers, help you shorten your time to market and lead to smoother project completion. It involves the development of a firm plan to carry out testing, including the specifics of where, why and when to test. Once everything is finalised and a clear POA (Plan Of Action) is developed, one can go ahead to the actual test phase. In this phase, the generic test cases are defined, and then, they are broken down into the detailed test steps. Further, these tests are developed as either automated or manual test scripts. Some teams also capture and store this information in the test management tools. In this phase, all the test cases are run in logical sets against a test environment or/and against the known configuration of the software (or the hardware being tested). The test results are jotted down for record purposes. Depending on which test management tools are being used, the results of test execution are logged. These results are then summarised with the help of test metrics tools, and the effectiveness/quality of the testing process is evaluated. Test reporting enables the evaluation of the testing efforts and facilitates the sending of test results to the interested parties. It enables the QA team to provide details of the overall quality of the software or application or hardware being tested. While one can leverage the principles of test management to achieve efficient testing in a controlled environment, but, these results can easily be enhanced with the use of the test management best practices. These best practices help in ensuring that the test effort stays organized with the well-defined systems and processes. Reusing the test cases is one of the best ways to save time and complete the entire testing much faster. Thus, always maintain a well-organized and comprehensive library of reusable test cases for easier reference. To maximise your testing time and utilize even the off time, run the automated test cases at this time. It will fasten up the entire testing process without affecting the overall testing quality. With an integrated test management and test automation system, the test can easily be run overnight, with the statistical data and results ready for analysis in the morning. The test processes must be enforceable, specifically, when the projects are required to comply with the regulatory bodies like HIPAA and SOX. Connect with KiwiQA to leverage focussed capability for Test Management.